Beirut — The two bishops of Aleppo abducted in 2013 in Syria are still alive, said Mgr Daniel Kourie, Syriac Orthodox bishop of Beirut, who spoke on Saturday at the ceremony marking the 47th anniversary of the Virgin Mary’s apparitions over the dome of the cathedral of Saints Peter and Paul in Moussaitbeh, near Beirut. 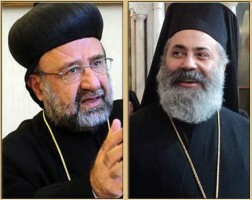 The commemoration of these apparitions, which this Church invariably commemorates on the first Sunday after Easter, coincided this year with the 4th anniversary of the abduction in Syria (22 April 2013) of the Syriac Orthodox and Greek Orthodox bishops of Aleppo, Youhanna Ibrahim and Boulos Yazigi, whose fate remains unknown. The portraits of the two bishops were displayed inside the cathedral and carried during the torchlight procession that marked the anniversary of the apparitions. During the ceremony for the dual anniversary, Bishop Daniel Kourie, chairman of the commission charged with the affair, tried to be reassuring. As far as he knew “the two bishops are still alive. [. 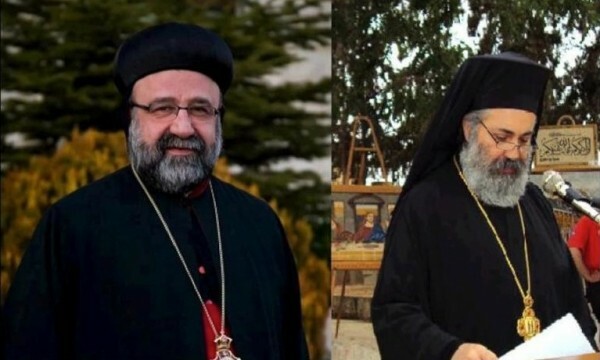 . .] Those who believe otherwise must give us evidence for their claim.” The prelate added that the commission has knocked on every possible door, in Lebanon and Syria, doing their best, to find the two bishops. Bishop Kourie called on Lebanese authorities to make this case a national cause given its impact on interfaith coexistence and dialogue. He slammed “religious and ethnic cleansing in Syria, Iraq and Egypt” and the states that support it by providing men, weapons and money. The apparitions of the Virgin at Moussaitbeh, a mixed district of Beirut with a substantial Syriac community, are similar to those that occurred in Zeitoun (1968). The Syriac Orthodox Church considers them authentic and solemnly recognised them in a patriarchal decree. 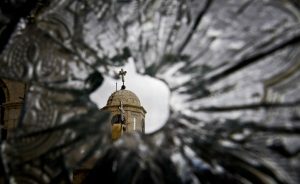 Unfortunately, they have not received the attention they deserve from the other Eastern Churches in Lebanon, all of which had turned inward at the time of the events, even though these events resonated as a warning and an appeal for openness and unity, in the face of the initial rise of the Islamist peril.